Another February came and passed. But this time with more dividends! Heavy hitters this month are AT&T, HCP, and General Mills. Last February I got around $150. This year's February was $290 so it is a decent boost. 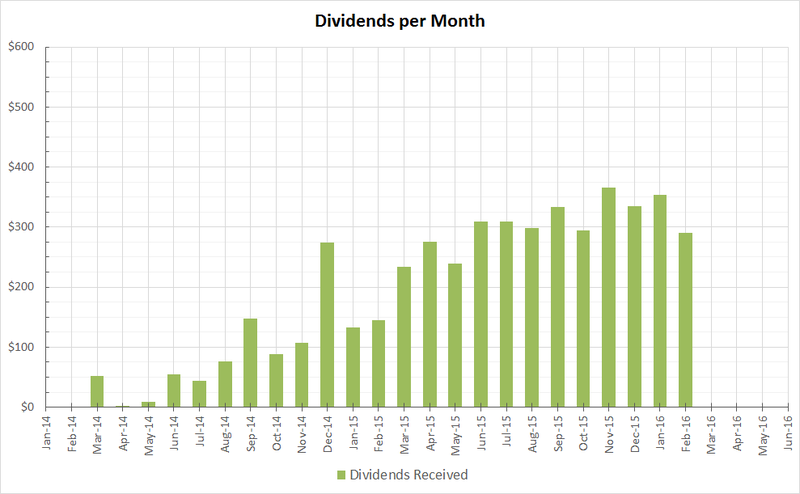 My dividend growth like it it's flattened but I think it will pick up later this year since some of my recent additions didn't catch the ex-dividend date. February looks like an very impressive dividend month. Nice work.